The CFTU is a volunteer organization composed of foreign teachers working in China dedicated to promoting creative and progressive education as well as protecting the interests of foreign teachers in China. For a copy of our mission statement please send an email to MS[at]ChinaForeignTeachersUnion.org. All foreign teachers employed in China are encouraged to apply for CFTU membership and enjoy the collective strength and support of your 29,642 expat colleagues now teaching in China. "A teacher forever remains a student"
Thanks to Debbie, Jason, and Cody the board of directors agreed that all foreign teachers in China need to be more culturally aware and sensitive and approved CFTU sponsorship for a Confucius Club that will convene once every two weeks at Renmin University in Beijing, and Shanghai University in Shanghai. 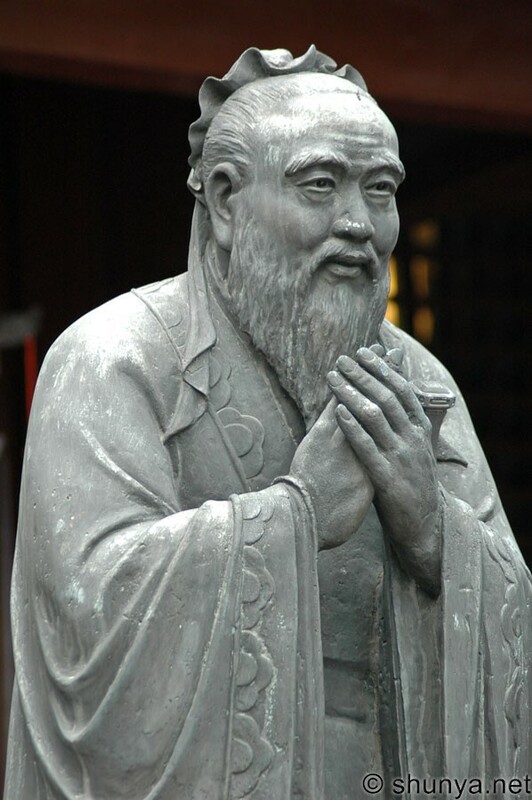 We also share some of his greatest quotes with you here to provoke a little critical thinking and we hope that at least one day of every month, you will introduce a Confucius proverb as a class discussion topic - no matter the ages of your students. The words of this sage are forever timeless! What you do not want done to yourself, do not do to others. Don't complain about the snow on your neighbor's roof when your own doorstep is unclean. Virtue should be as common in the laborer as in the king. The wise are free from perplexity, the virtuous are free from anxiety, the bold are free from fear. Want to Report A School Or Agent? Stop Agent Fraud & Employer Abuse! CFTU: Logo Change Possible - What Do You Think? Revised CFTU Web Site To Be "Politically Correct"